Democrat Kristen Carlson swept the competition in early results from Tuesday's primary election for the Congressional District 15 House seat. 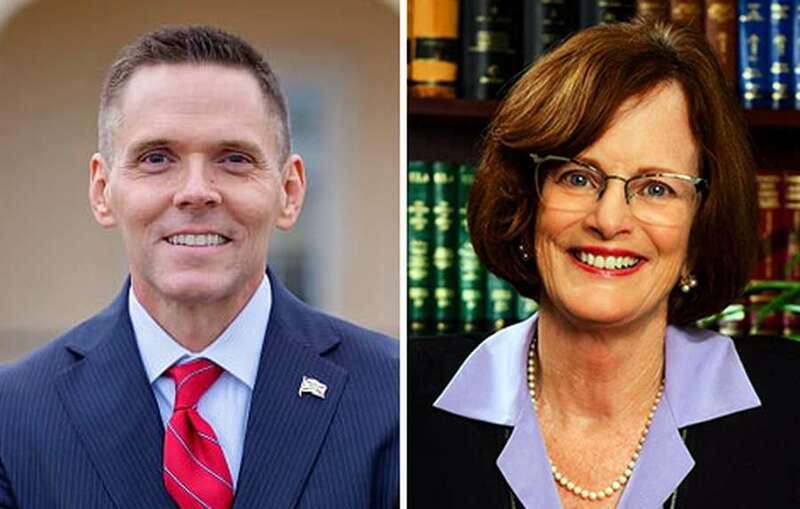 Ross Spano won the Republican primary, even as Polk voters turned out in force for Neil Combee. Republican Ross Spano and Democrat Kristen Carlson were leading the District 15 Congressional primaries in early voting. From the moment Rep. Dennis Ross announced his retirement in April, the race to replace the Lakeland Republican in Florida's Congressional District 15 has been contentious, costly and crowded. Five Republican candidates and three Democrats sparred for Ross' House seat of eight years, which spans eastern Hillsborough County, northwest Polk County and southern Lake County. GOP candidates have maintained a stronghold on the district since Republican Dave Weldon's 1995 election, and candidates from Polk County have occupied the seat since the 1983 election of Andy Ireland, R-Winter Haven. Democrat Kristen Carlson, a Tampa attorney who lives in Lakeland, bested challengers Andrew P. Learned and Raymond "Ray" Pena in all three District 15 counties. State Rep. Ross Spano of Riverview won the Republican primary despite a strong showing in Polk County for former state Rep. Neil Combee. Other challengers were Ed Shoemaker, Danny Kushmer and Sean Harper. Carlson and Spano face off in the Nov. 6 General Election. 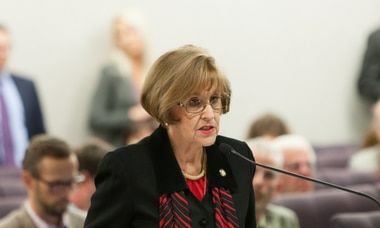 Carlson, 64, has worked as a prosecutor in Pasco County and sat on the legal counsel for both the Florida Department of Citrus and the Florida Department of Transportation in Bartow. "I would like voters to think about what it will mean to this country when we're able to bring Americans together and reach bipartisan solutions to some of the biggest problems we face, like health care reform, immigration reform, and to realize that we're all in this together," she said late Tuesday. Spano, 52, was elected to a District 59 state house seat in 2012 and is also practicing attorney. He nabbed 60 percent of votes in Hillsborough , and notched a victory in Lake County with nearly 42 percent of votes. But in Polk County, Combee clinched more than half of the votes. Spano's lead in Hillsborough County was enough to win the party nomination. Redistricting in 2016 shifted more than half of District 15's voters to Hillsborough County, leaving 35 percent in Polk and 15 percent in Lake County. He watched results come in from the original Beef O Brady's restaurant off Kings Avenue in Brandon. But if victorious, he said he planned to spend plenty of time in Lakeland. "I'm excited to get over there and prove it to them," he said. "It's going to take a while, you always have to prove yourself anytime you enter a new job in a new environment, but I told the people of Polk County we're going to keep the primary office in Lakeland, because Lakeland is still the geographic center of the district." Combee, 58, left Florida's House of Representatives last fall when President Donald Trump appointed him to Florida's executive director position in the U.S. Department of Agriculture's Farm Service in both Florida and the U.S. Virgin Islands. Combee, of Polk City, left that role to launch his congressional campaign. In the Democratic primary, Polk County voters handily sided with Lakeland residents Carlson and Raymond Pena Jr., 61. Their Hillsborough-based challenger Andrew Learned, 32, won less than 20 percent of votes in both Polk and Lake counties. Peña, a retired police officer, is a U.S. Coast Guard veteran and retired from the FBI's Family Violence Unit in 2007. A helicopter pilot and flight instructor, Peña founded Guardian Aviation LLC in Winter Haven. Learned is a veteran of the U.S. Navy Reserves who served in Bahrain. He now operates a Valrico-based tutoring service, GradePower Learning Center.